There’s lots of good tools at your disposal to set up a pre-save on Spotify, but we like to use SmartURL. SmartURL is a tool which allows you to create different geo-redirect links for music & more. It is completely free, although some features are restricted to registered users only (registration is free!). 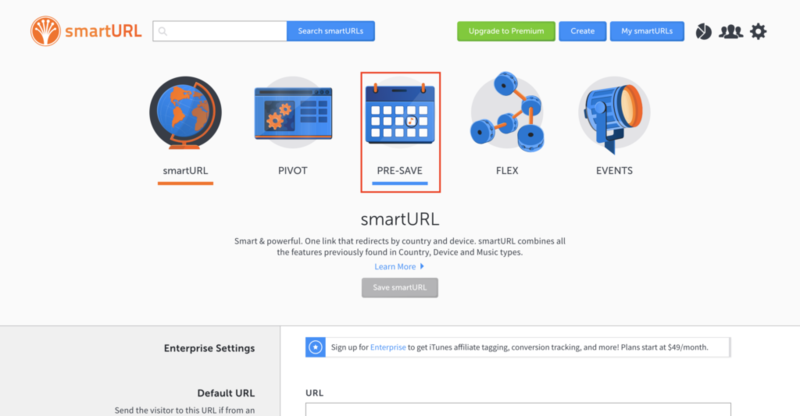 SmartURL have a tool called ‘Pivot’, which will allow you to put all of your URL links into one landing page, such as iTunes/ Google/Amazon/Spotify etc, and your fans can then choose their favourite service and be redirected to it. If you’re looking to only set up a pre-save, their is a specific ‘Pre-Save’ tool. This is open to registered users. To set up a pre-save on Spotify you’ll need the URI of your release. We’ll send the URI to you via email as soon as we get it from Spotify. Let’s take a look at a step-by-step process. We’re going to set up a pre-save on Spotify for The 101‘s single, ‘First & Last’. 2. Log-in, or register for an account. 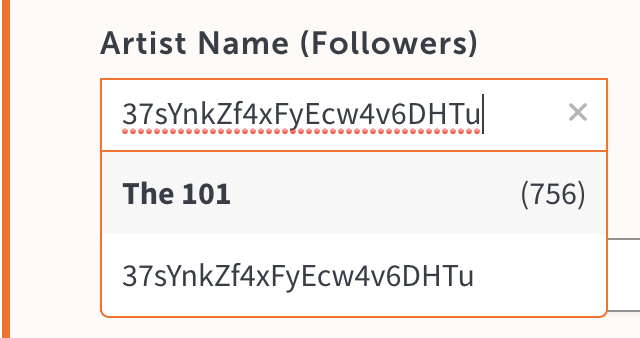 Note if searching by URI: you need to remove the ‘spotify:artist:’ text from the start of the URI, before you enter it in the ‘Artist Name (Followers)’ field. So, for example: ‘spotify:artist:37sYnkZf4xFyEcw4v6DHTu’ becomes ’37sYnkZf4xFyEcw4v6DHTu’. As mentioned above, EmuBands will send an email out to you containing your Spotify release URI as soon as we have it. Learn more about processing times for Spotify here – How Long Does It Take? You’ll notice in the above image, we’re receiving an error message – “Product does not exist in Spotify yet”. To resolve this, simply update the ‘Product Release Date’, and ‘Free Tier Release’ to your release date. Most of the options here are quite self-explanatory. In this example above, We’ve opted only to supply the release artwork. 8. Set up an alias for the SmartURL. 9. Scroll to the bottom of the page, and click ‘Save SmartURL’. 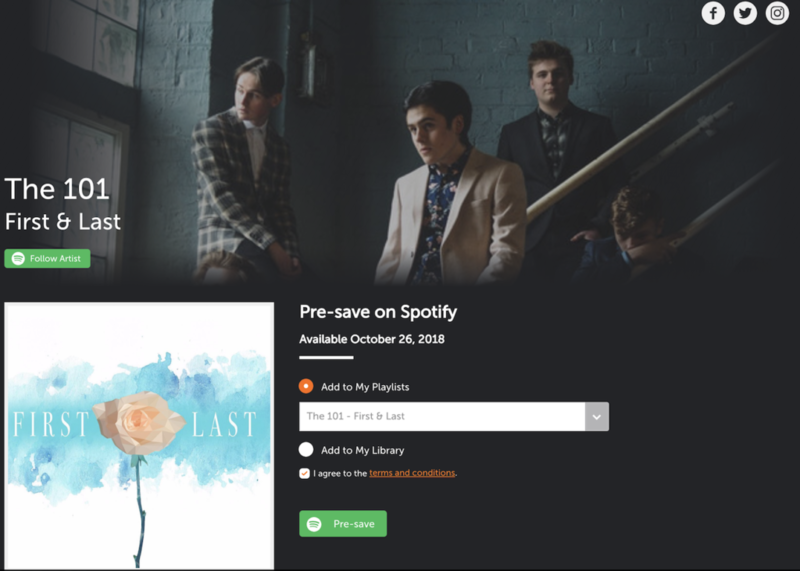 Encourage your fans to pre-save your new Spotify release to their libraries, so they can be the first to hear the release when it goes live. 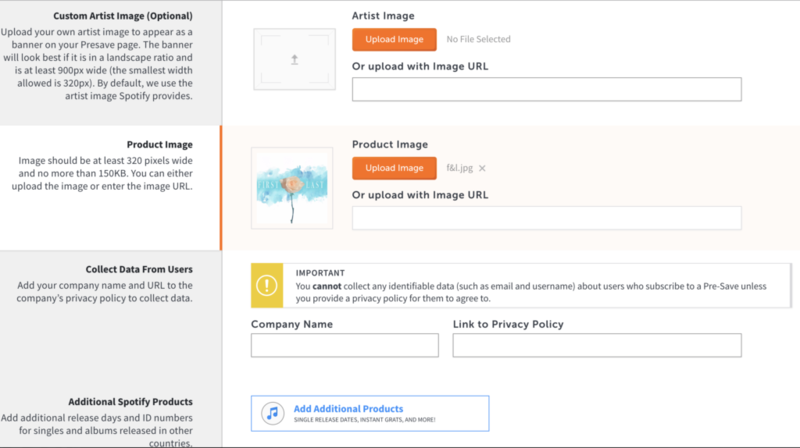 Pre-saves are a great way to create a buzz around your release, not to mention increase your Spotify follower-count, which is hugely important for algorithmic playlists, like Discover Weekly, and Release Radar. If you liked this guide, we would recommend: How Do I Make the Most of Spotify?